If you are like any other girl around the world, Topshop is a huge part of your wardrobe. The influence that Topshop, as a hughstreet retailer, has on women's fashion is incredible. Not only is it one of the most successful fashion retail brands in the UK (Arcadia) but it is also one of the most anticipated and worn ones. Being a fan of luxury fashion and enjoying watching and looking forward to shows every fashion month, I was more than excited to learn that Topshop had brought a show to LFW - my home country. It's a more expensive, well-made and luxurious version of Topshop, going as Topshop Unique. The pieces are available to buy on luxury retail sites such as Net-A-Porter. The front row at Topshop Unique is always a huge part. 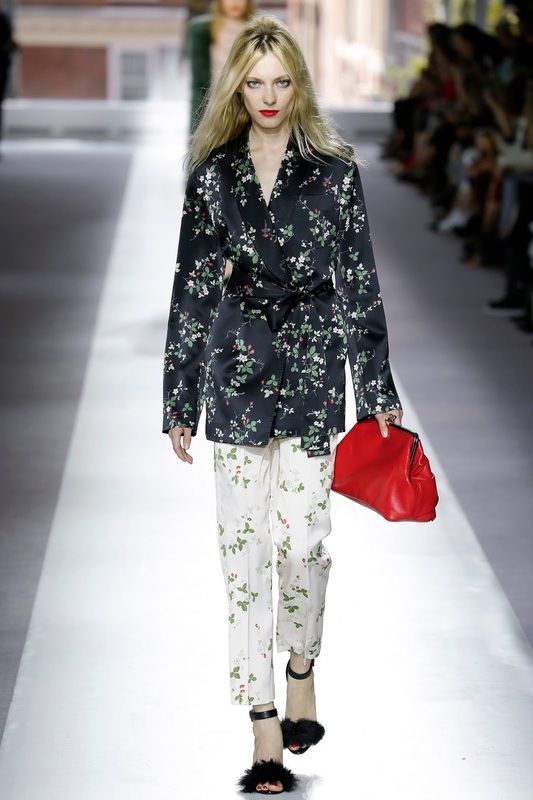 Last season, Kendall Jenner, Alexa Chung and Cara Delevingne graced the front row, drawing huge media attention and making it one of the most instagrammed shows during Fashion Month. 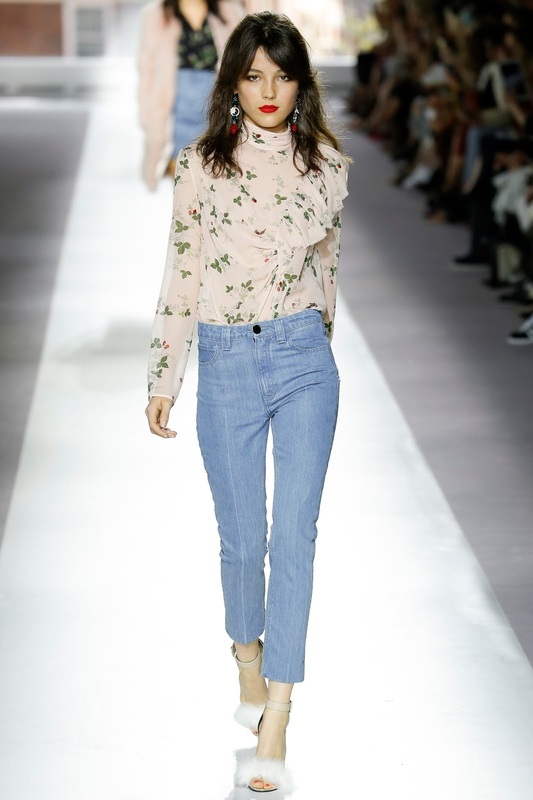 This year, it was taken over by the British "IT" girls and some of my personal style icons - Alexa Chung again, Suki Waterhouse and Poppy Delevigne all claimed their seat at one of London's most anticipated shows. Bella Thorne, another lady who inspires my wardrobe, was also there. The collection itself was very British - which I love. It's nice to see a globally successful brand, like Burberry, to keep to it's british roots and pay tribute to the influence which has made the brand so loved in the first place. As the show started, the first set of looks were heavily influenced by the typical british men's fashion. Smart, loose-fitting looks. Beautiful vests clinched with belts, being thrown over some ankle grazing cigarette pants screams the stereotypical gent's wardrobe. The pin-striped blazer had a revamp in this collection, being renforced into a gorgeous dress, giving the look a masculine feel with a feminine edge - which has always been at the heart of British fashion. The collection was overall relaxed, easy to wear and bright - three things that us women love when it comes to summer fashion. Sometimes we have those relaxed and "can't be arsed days" which I think Topshop have really thought about. Who knew that we could look effortlessly gorgeous in an easy, yet fun way?